Examples of aerophilately related materials, such as (first) flight covers. 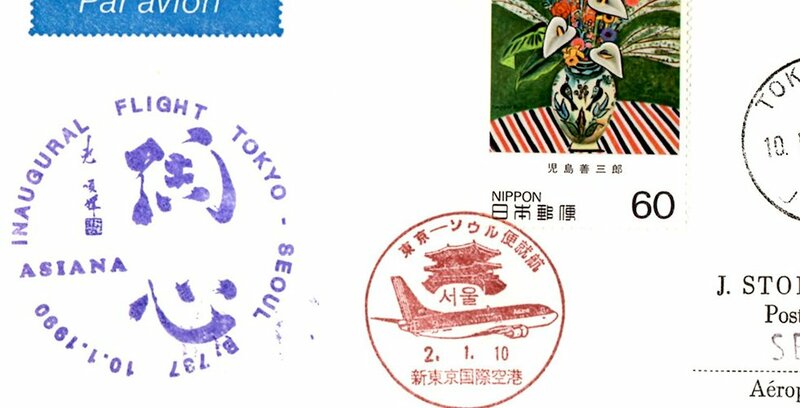 As a Korean Airlines jet takes off, Elvis Presley’s rendition of “Welcome to My World” was played in the background in an early Korean Airlines’ TV ad campaign. 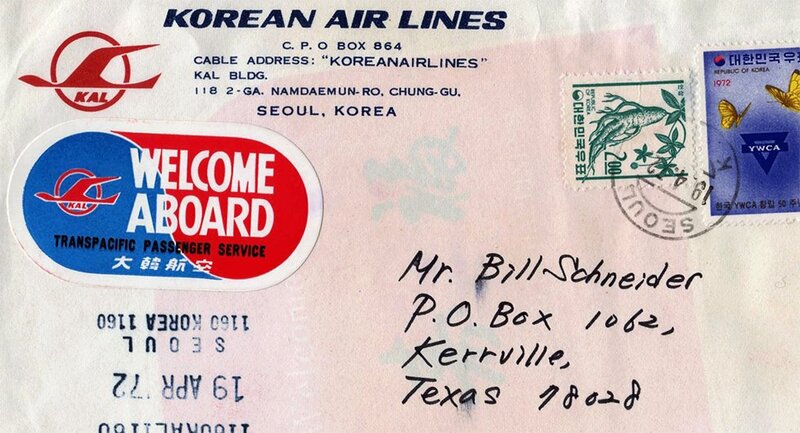 Korean Airlines’ World is the whole wide world now, but it wasn’t quite that wide in the beginning.